Guess what Monday is? Any ideas? February 22nd is National Margarita Day and I for one am more than willing to celebrate with some Frozen Blackberry Margaritas!! 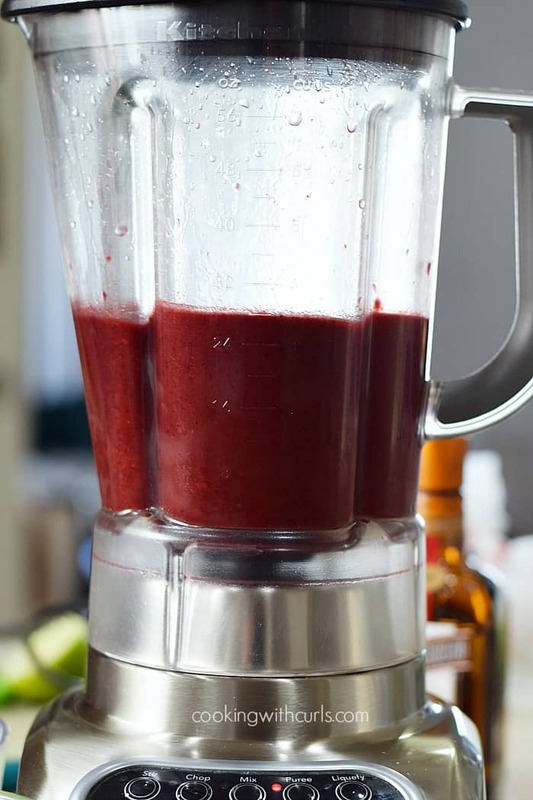 It has been almost a full year since my last Margarita and margarita story…or lack there of, so these babies are long overdue…..
Place all of the ingredients into the blender. 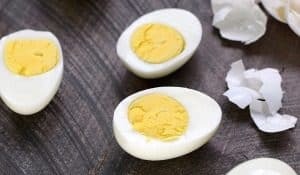 Now start with the lowest setting (STIR) and gradually work your way up…..
to the highest setting until the mixture is smooth and completely combined. 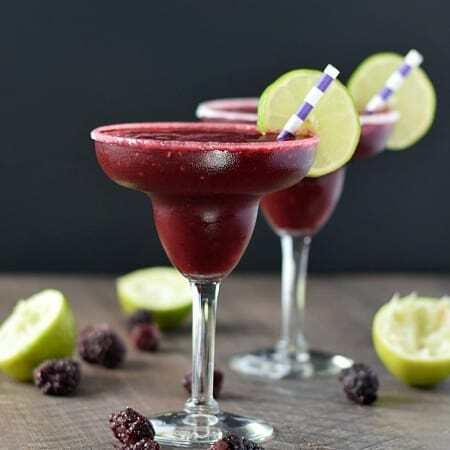 Rub a lime around the edges of two margarita glasses and dip the rim into a bowl of superfine sugar, then pour the Frozen Blackberry Margaritas into the glasses and serve…..
with a straw and lime… Ole’!! I have plenty of other Margarita recipes to help you celebrate National Margarita Day, or Cinco de Mayo, or any random Saturday night! 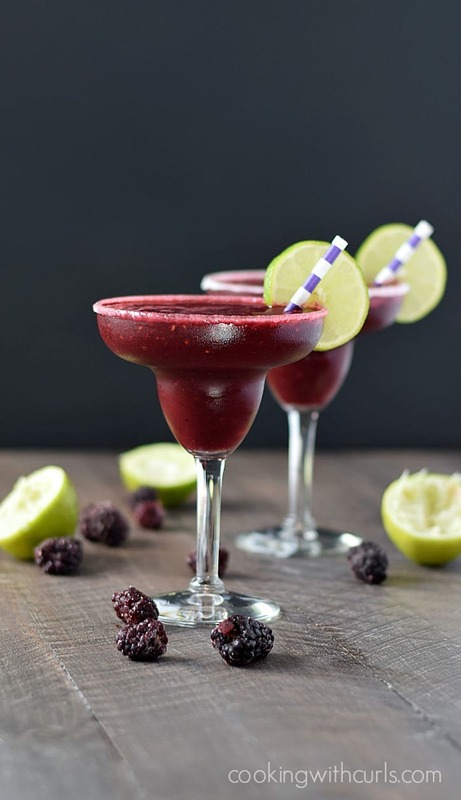 No fiesta is complete without margaritas, and these delicious Frozen Blackberry Margaritas are sure to be a party pleaser! 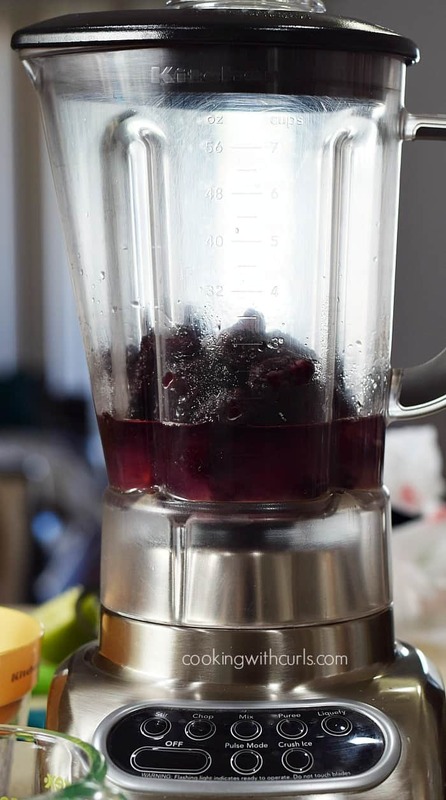 Place all ingredients into the blender. Start with the lowest setting gradually increasing until mixture is smooth and completely combined. Rub lime juice around the rim of two margarita glasses. Dip glasses into superfine sugar spread out on a small plate. Divide margarita between each glass and serve with a straw and lime slice. 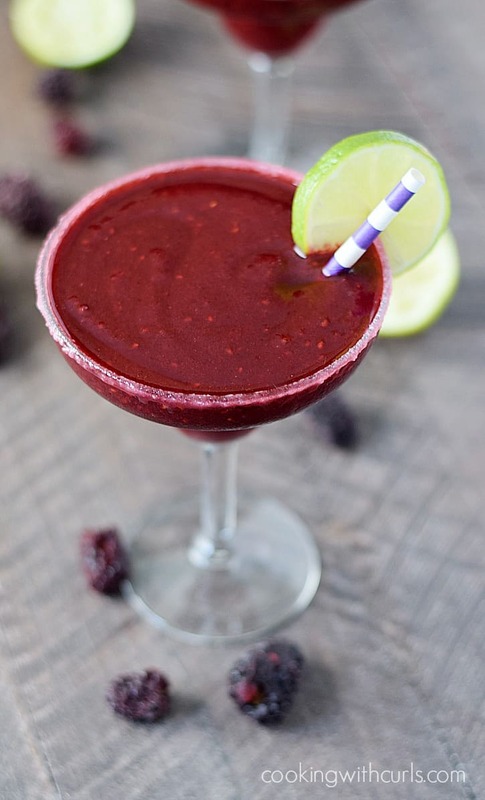 Your blackberry margaritas look amazing! 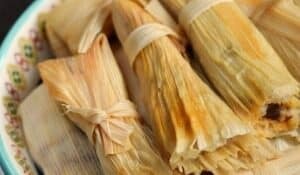 Can’t wait to try them. 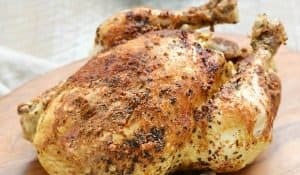 I pinned this one! Thanks! Both the blackberry and mango margaritas look so good. Glad it’s basically summer weather here in Arizona! Visiting from Dream to Reality party. This makes me wish it were Summer already!! !